Call Harbor Mechanical and enjoy peace of mind knowing that your piping is being taken care of by reliable professionals. We offer specialized pipe thawing for most situations. Whether it's your home or business, we offer reasonable industry rates. We are registered with the cities of Hermantown, Proctor, and Cloquet, MN and offer our services throughout Duluth and the surrounding areas. Have your piping installed and serviced properly. 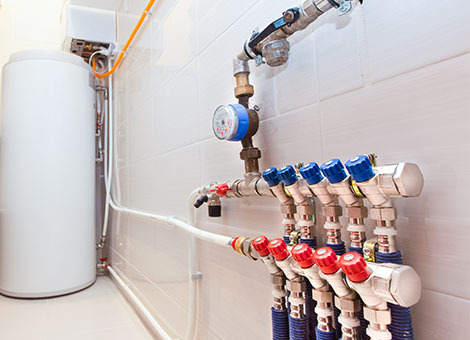 Our skilled plumbing team has experience in a wide variety of piping services. From medical piping (such as used in dentist offices and hospitals for medical gasses) to drinking water or sewage lines, we do it all. Call our fully certified team today. Frozen pipes are an unfortunate reality of life here in northern Minnesota. Rely on us to save your pipes from bursting or getting clogged. Our trained and experienced team members have become experts in thawing pipes. Call today to learn more.